Here are a few fun tidbits about luck, lore, superstitions, and strange beliefs to get you in the spirit of the day! 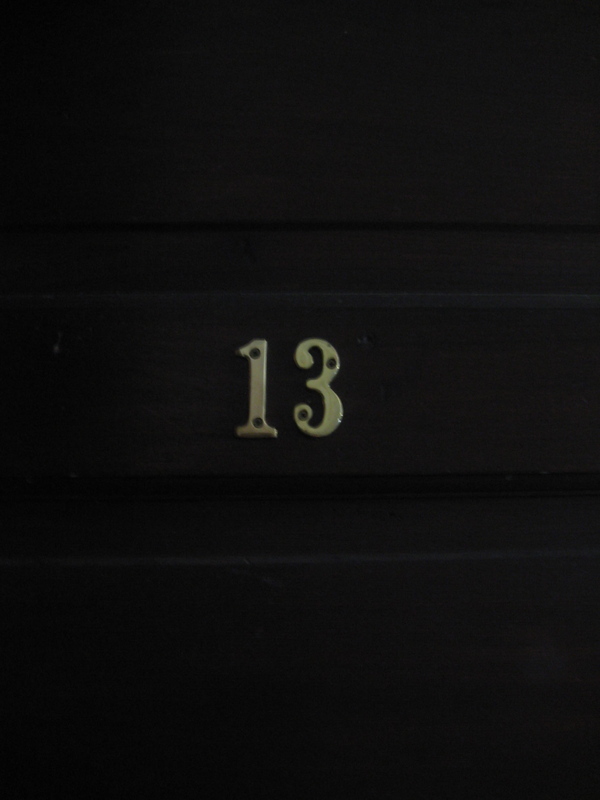 Triskaidekaphobia is the term for a morbid fear of the number 13. Some say the fear of Friday the 13th comes from the early Christian belief that there were 13 present at the Last Supper, and it is said that Christ was crucified on a Friday. In early 20th-century Europe it was believed that the hand of a dead person, especially the hand of a person who’d been executed for a crime, held healing powers. On the books in Pennsylvania: A case from 1971 in which a man suing Satan for his own bad luck and downfall. The case was thrown out of court because it could not be proven that Satan lived in the state of Pennsylvania! Scholionophobia is an extreme fear and hatred of school. Confederate general Thomas “Stonewall” Jackson always charged into battle with his left hand held over his head, allegedly for psychic balance. Spanish Queen Juana so loved her husband Phillip that when he died in 1506 she kept his coffin with her until her own death. Oh, there are so many more! Check out my books if you want to curl up and read some real freakery! This entry was tagged Beyond Bizarre, bizarre facts, Book of the Bizarre, Friday the 13th, Friday the 13th lore, superstitions. Bookmark the permalink.